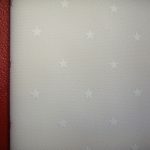 View cart “FORD-XL/XM/XP SEDAN ‘STAR’ PATTERNED HEADLINING-NEW” has been added to your cart. 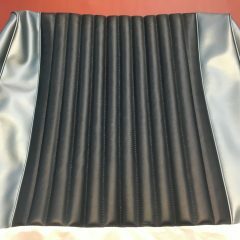 NEW HEADLINING READY TO FIT A 1963-1966 FORD XL/XM OR XP FOUR-DOOR SEDAN. *OFF-WHITE STAR PATTERNED HEADLINING VINYL. 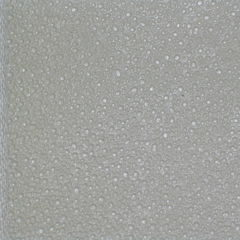 NEW HEADLINING READY MADE TO SUIT AN XL/XM/XP FOUR-DOOR SEDAN. *FALCON,DELUXE,FUTURA.1963-1966 *MADE FROM AN ORIGINAL TEMPLATE,TO ENSURE A PERFECT FIT. *OFF-WHITE CRATER PATTERNED VINYL. 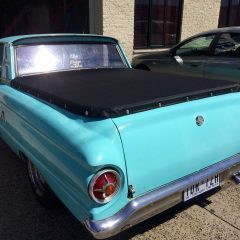 NEW TONNEAU COVER TO SUIT A 1965 FORD XP UTE. *SUPPLIED AND FITTED. *ALLOW ONE FULL DAY.